Teaching phonics is one of my favorite things about working with primary students. Ever since I was a child, I loved how the letters worked together to make words. It was like magic when a small shift of a vowel made a completely new word. 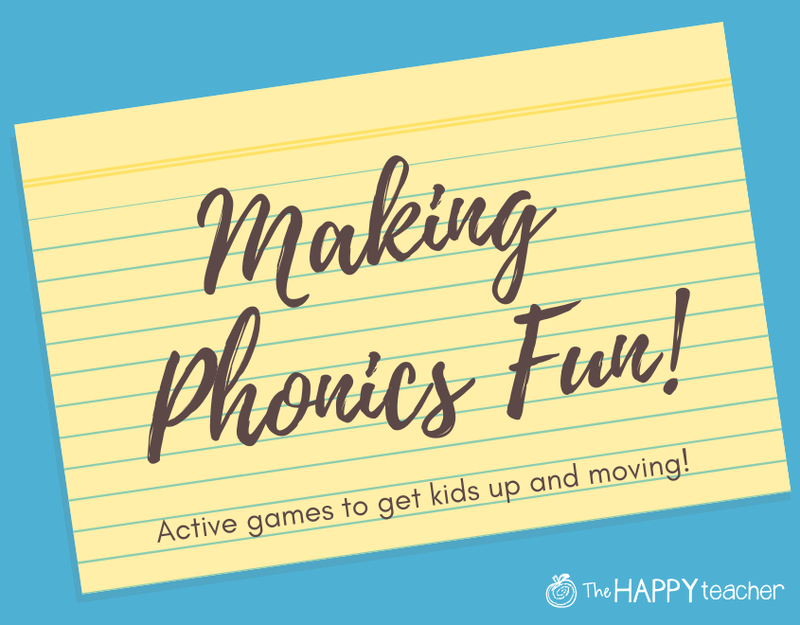 Today I want to show you a few ways to increase engagement and make phonics FUN and active! Phonics doesn't have to be boring, repetitive worksheets. I love these "alphabet stones" from Oriental Trading. They are made of heavy-duty foam, about half an inch thick. One side has numbers and the other side has letters. I love that Oriental Trading color-coded the consonants blue and vowels red. This is so helpful for primary students and teachers! When I first got these out, my kids had a blast spreading the stones out to create a maze-like obstacle course. They ran, hopped, skipped, and jumped around calling out the letter names and sounds as they went! Another fun way to use the Alphabet & Number Recognition Step Game is for building words. I used blue painter's tape to create Elkonin boxes. The visual helps students segment a word into individual sounds or phonemes. The color coding of the stones was particularly helpful for creating CVC words. You can use an easel or whiteboard to record the words. 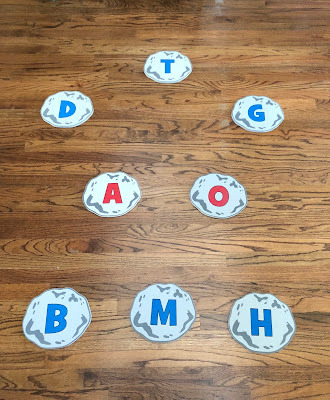 If you are using the foam alphabet stones in a center, students can work to build their own CVC words. For accountability, you can have them record the words they created. 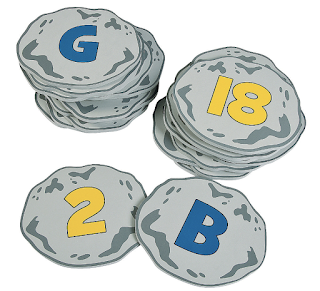 Lay out the alphabet stones like this. Show students where to start. Have them jump from row to row to create a word. I have a freebie in TheHappyTeacher store that shows several ways to set up your letter stones, and it also includes a recording sheet. Tune in next time for more games and ideas to make learning fun and active! Disclosure: I was provided a sample of the product free of charge, in exchange for my honest opinion. No other compensation was received. The ideas and opinions in this post are strictly my own.